Ivo Jimenez, a Ph.D. candidate in computer science at UC Santa Cruz, is one of four computer scientists (and the only graduate student) recognized by the U.S. Department of Energy's Exascale Computing Project in its inaugural class of Better Scientific Software (BSSw) Fellows. The BSSw Fellowship Program was created to give recognition and funding to leaders and advocates of high-quality scientific software. The program aims to foster and promote practices, processes, and tools to improve developer productivity and software sustainability of scientific codes. Each fellow will receive up to $10,000 for an activity that promotes better scientific software. Jimenez is a member of the Systems Research Lab directed by his adviser Carlos Maltzahn, adjunct professor of computer science in the Baskin School of Engineering. As a BSSw Fellow, Jimenez will focus on the generation of computational experimentation pipelines that are easy to re-execute and validate. “I have always been interested in the issues that arise at the intersection of scientific computing and software engineering practices. We want to make it easier for scientists to write better software and to share the code used in their research,” Jimenez said. He has been working with Maltzahn and others on a protocol and tool called Popper for conducting experiments and writing academic articles using software engineering best practices. With the BSSw Fellowship, Jimenez will create an online tutorial on how to use Popper and organize training activities in the San Francisco Bay Area. He also plans to translate the content of the Popper tutorial into Spanish. Originally from Mexico, Jimenez earned a B.S. in computer science at the University of Sonora. He came to the United States in 2006 and worked at HP Labs before pursuing his Ph.D. at UC Santa Cruz. 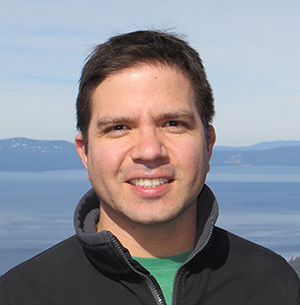 Jimenez's work with Maltzahn has been supported in part by the UCSC Center for Research in Open Source Software (CROSS) and by grants from the National Science Foundation and the Department of Energy.